This White Sapphire & Sterling Silver Heart Pendant w/ 18" Chain is currently selling for just $12.95 on Amazon.com! You will be saving 71% off the listed price of $45.00 with this jewelry deal. 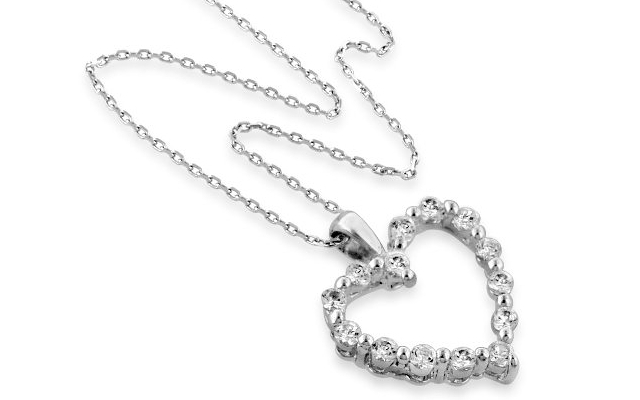 What I like about this heart necklace is how versatile it is. What a great Valentine's Day gift this would make because it can be worn with just about anything!